Shirley Hundscheid-Marshall Born 1949 in Blackpool, England Currently resides in Kerkrade, Limburg, the Netherlands CV Her artwork is brimming with color, realistic and varying in subject, technique and size. Most are pastel watercolors and in most recent years also acrylic. She's done several art expositions in the Netherlands and also two in Ireland. Shirley, born in England, has loved painting and drawing from a very young age, but over the years it has become a real passion for her. For 20 years, she studied at the "Vrije Akademie ZOM" (a center for art education in the Netherlands). 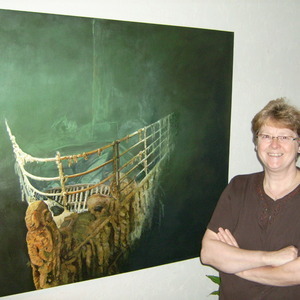 Her latest big exposition, Abdij Rolduc, was in August 2008 in Kerkrade, the Netherlands.